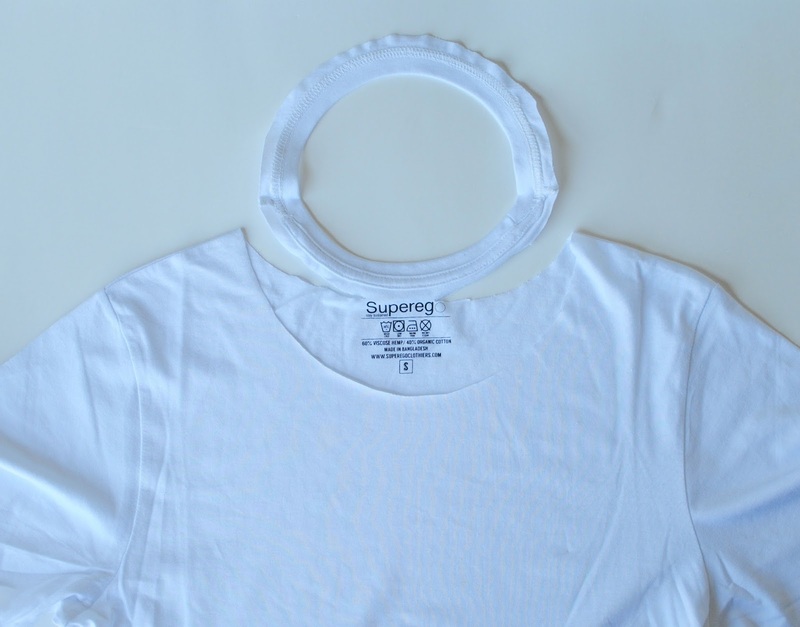 I went with this shirt from SuperEgo a sustainable tshirt composed of 60% hemp and 40% organic cotton here. 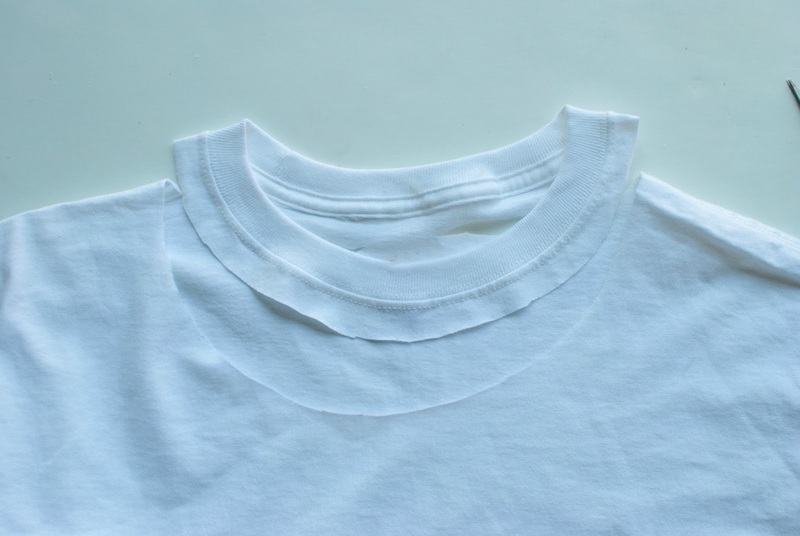 Begin by cutting around the collar leaving a 1/4 inch edge to sew under. You will also want to leave a part of the back intact as shown below. Fold over edges about 1/4 inch and sew a finished hem on both edges. Remove the excess from the back. 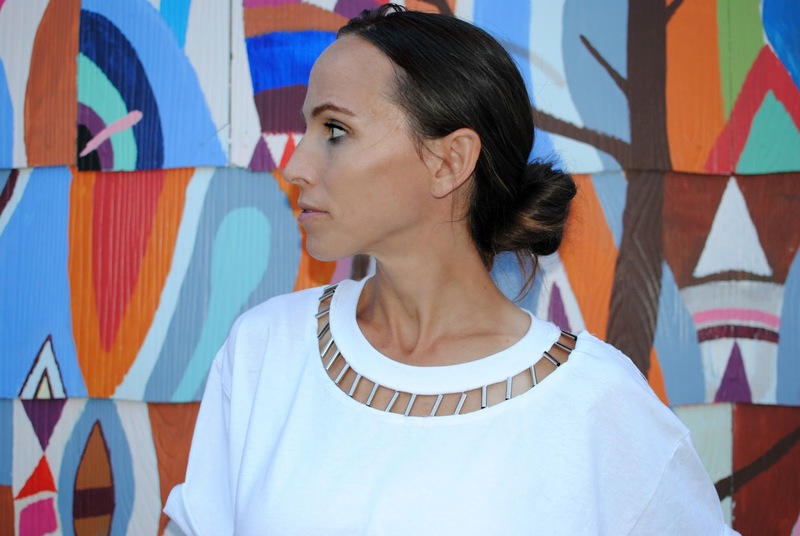 Begin in the middle of your shirt and middle of collar. Hand sew beads in and out through out the collar. 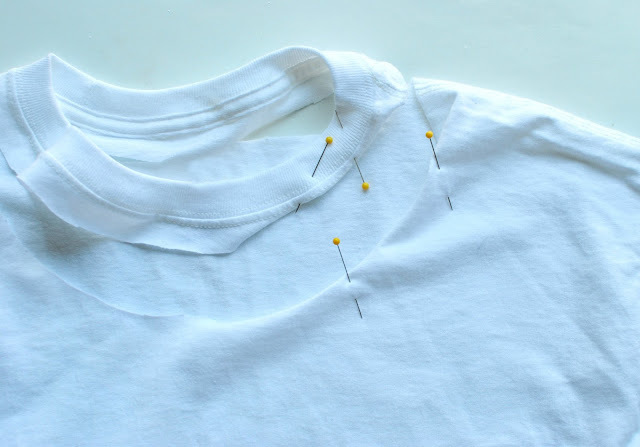 once through, bring the needle through the casing of the hem and out to attach another bead…Evenly space them. Mine were about a 3/4in. apart and I just guestimated. Continue until you reach the back point. Start in the middle and go around the other side. Once you reach the back, cut the intact part and finish the hems and finish the beading. That's so cool! Definitely going to try this out! Love your site. 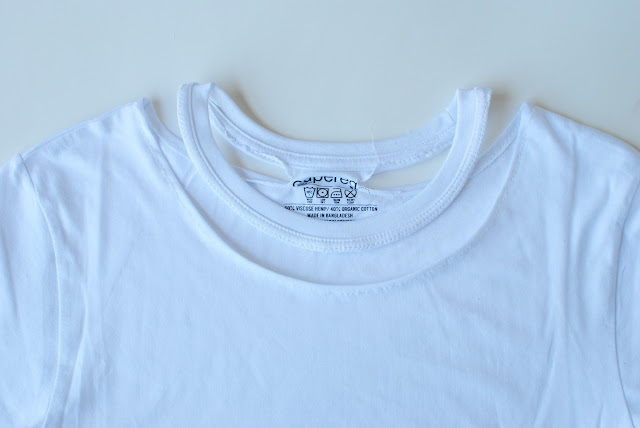 One of the cutest tee shirt projects I've seen. Thanks for sharing! 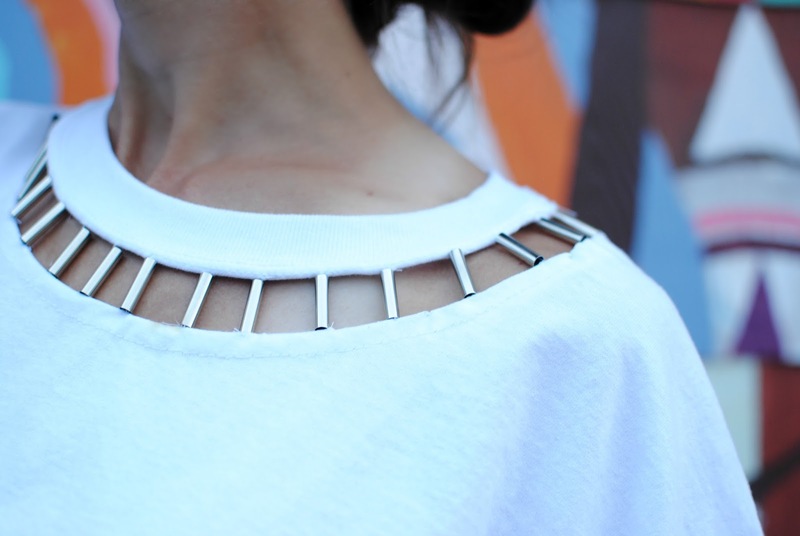 The idea of making a beautiful and beautiful collar.